My friend Chad Pike invited me to go fly fishing with him in Iceland. At first I wondered, why Iceland? But truthfully I would go fishing with Pike anywhere. He is a world-class sportsman who fishes and hunts around the globe. He is also the founder and owner of The Eleven Experience, an experiential travel company with fishing operations in Iceland that are second to none. 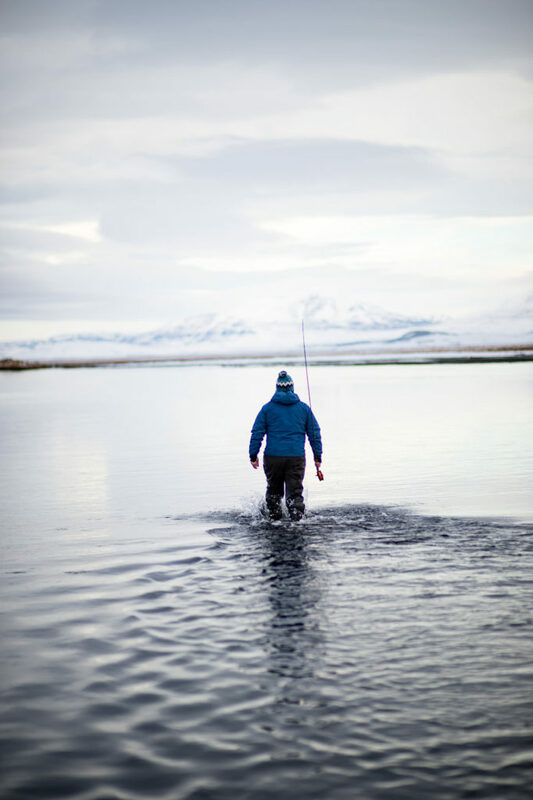 The expedition, our fly-fishing safari, was bold, targeting three species–brown trout, native Atlantic salmon and Arctic char–in some of Iceland’s most idyllic waters. Chad Pike, owner of The Eleven Experience, celebrates landing a majestic salmon. The Arctic nation of Iceland is known as Europe’s “land of fire and ice” because of its extremes; molten lava fields and smoking vents from more than two dozen active volcanoes juxtapose glaciers, snow-capped mountains and fjords. 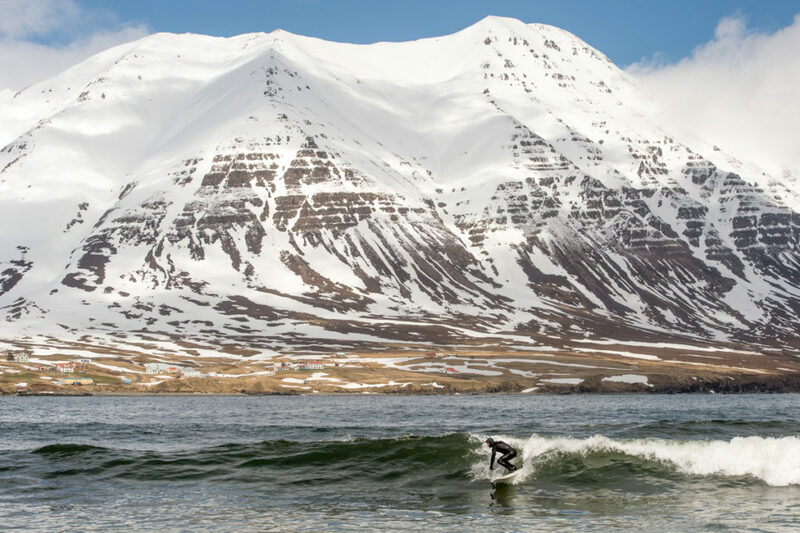 During the last five years, Iceland’s popularity as a destination for tourists–and fishermen–has grown exponentially. Despite their Viking heritage, Icelanders are friendly. Fortunately, English is spoken everywhere (I found the native language unintelligible) and the contrasting geography is beautiful. The country to many is an unknown commodity; after my travels there, I can assure you that won’t be the case for long. The flight to Iceland was one of the most pleasant international flights I have experienced in a long time. Icelandair’s planes are new; the flight from Washington, D.C. was less than six hours to Iceland’s Keflavik airport, which is clean and modern. Iceland appeals to many international travelers because many airlines offer stopover options when flying between the United States and Europe. Pike introduced me to Elvar Fridriksson in Reykjavik, Iceland’s largest city and capital. Fridriksson is the director of Eleven Experience’s Icelandic fishing operations and would be our guide for the adventure. 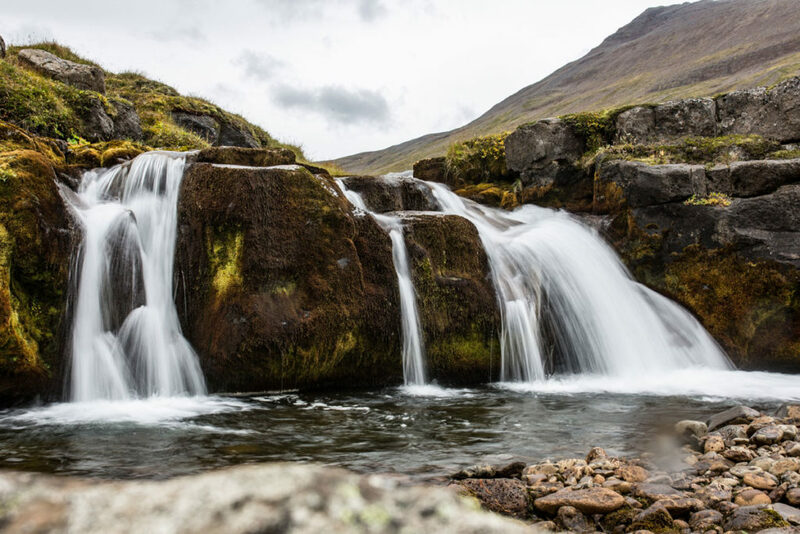 Iceland’s efforts to limit the harvesting of fish has helped to preserve many of these rivers. 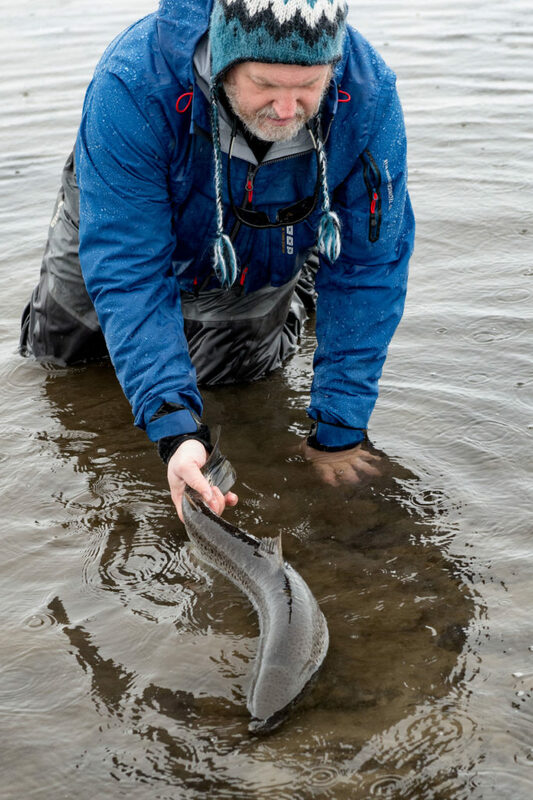 “There is nothing more rewarding than releasing a beautiful fish, knowing it will go on to repopulate the river and maintain great fishing in the future,” Fridriksson said. The guides who lead the trips are mostly local and in many cases have fished these small stretches of rivers, or “beats,” their whole lives. When it comes to pursuing smart, strong, wild fish, I’ll take every advantage I can get. 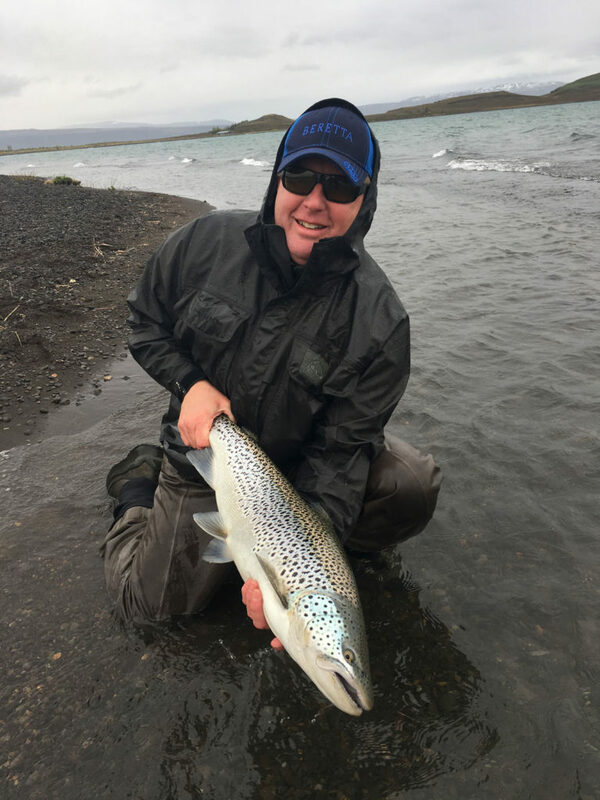 We spent the night in Reykjavik and traveled the first leg of our safari to Lake Thingvellir to pursue its enormous brown trout. The landscape along the way was barren and volcanic, offering vistas similar to what you might see driving on the moon. We passed by steaming lakes and pipelines; geothermal activity is used to provide hot water to Reykjavik for energy needs. Very few automobiles shared the roadways but we did see plenty of hearty Icelandic horses, one of the few non-indigenous animals that adapted to the rugged land- scape and harsh climate. There is an old Icelandic proverb that says, “Fertile is the water that runs under lava.” I discovered this must be the case with Lake Thingvellir. While the Arctic char are large and plentiful, massive brown trout are at the top of the food chain. “It is not uncommon to catch fish weighing 20 to 30 pounds,” Fridriksson said. The trout in the lake, he explained, were originally Irish Sea trout that became landlocked during the last ice age 10,000 years ago. Fishing Lake Thingvellir for two days provided the full range of the Icelandic angling experiences. The weather was abysmal during our first day of fishing. Temperatures were in the mid-40s. Driving rain and howling winds kicked up white- caps on the lake that could easily breach your waders. Despite the first day’s weather, the fishing was spectacular. Faced with rough water and strong winds, we were limited to fishing streamers, mainly Black and Olive Ghosts, as small as size 8 and as large as size 4. We saw action all day, using the seam from a thermal river to create our drift. Pike landed a 15-pound trout, the big fish on our trip. Sunny skies were welcomed on our second day; calmer weather presented the lake in a completely different light. The water was glassy and winds were calm. Early in the day, we saw rising fish but few takers. Later, to my delight, the fish bite turned on. I caught a handful of these trophy trout on size 12 and 14 caddis flies. For a guy like me who spends most of his time chasing smaller trout on East Coast streams, the fishing was incredible. “Can we come back tomorrow?” I asked hopefully. We did not go back to Lake Thingvellir because the next stop on our fishing safari was far north on Iceland’s Troll Peninsula. 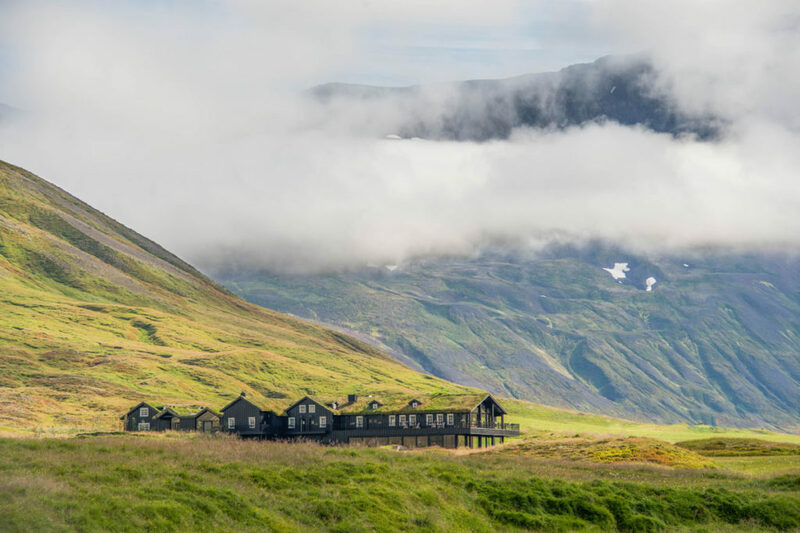 The journey included a 45- minute flight from Reykjavik into Akureyri, followed by a two-hour drive to Eleven’s exclusive resort, Deplar Farm. The resort is an old sheep farm that was transformed into a first-rate resort. It sits in a valley surrounded by massive granite peaks that are snow-covered much of the year. This leg of the trip provided an opportunity to catch Arctic char and native North Atlantic salmon on some of the country’s most famous rivers. 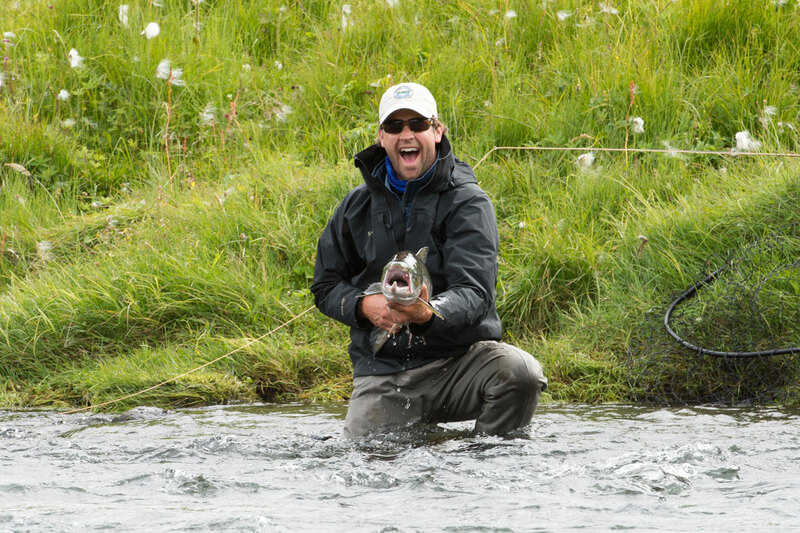 Fishing in Iceland can be a hard- core pursuit. The weather doesn’t always cooperate and can change on a dime. In addition, and depending on where you fish, rods are big and are often two-handed. In many instances we fished with Loop Cross S1 rods. I absolutely loved the power of the rods when casting and the light touch when fighting a fish. In summer, the sun doesn’t set, so fishing on most rivers doesn’t end until 10 p.m. The good news: Iceland is practically devoid of trees, so you don’t have to worry about snagging your fly in a tree on your back cast. The first river we fished up north was the Fljotaa. Small, elegant and fast- flowing, the river runs through the beautiful Fljot Valley, home of Deplar Farm. I fished Beat Three, one of the more productive spots on the river, where high cliffs look down on fast-flowing water and deep pools; many hold salmon larger than 20 pounds. My time on the Fljotaa did not end with me catching my first salmon but as a nice consolation, I was able to land a beautiful Arctic char that was larger than many of the trout I see back in my home waters. Our next stop was the Huseyjarkvisl River (or the Husey), home to some of the biggest salmon and sea trout in Iceland. Salmon are fascinating fish. They are born in freshwater rivers, and then travel to the sea where they live most of their lives before returning to their birthplace to spawn, occasionally repeating the cycle. Unlike almost all other fish, when a salmon attacks a fly, it isn’t feeding. Getting the salmon’s attention and stimulating its instincts to attack is imperative if you want to catch these majestic fish. The riffle hitch is a common method used by fly anglers to catch salmon. With this technique, the angler drags the fly, often a tube fly such as a Sunray Shadow, across the surface of the water, creating a V-shaped wake. I used the riffle hitch on the Husey to catch my first salmon. It is difficult to describe the thrill of watching an Atlantic salmon take a fly on the surface; it is a rewarding struggle to manage the fish’s long, powerful runs that forced me to scramble down the riverbank to land it. Focusing on your rod tip and managing your line when sliding down a steep bank to a river in waders is something everyone should experience. So is Iceland. Eric Kallen is an avid sportsman who spends his time between his home in Charlottesville, Virginia, the mountains of western North Carolina and the shores of Fairhope, Alabama. He is always in search of adventure and never turns down an opportunity to catch a big fish. The author with a large brown trout caught on Lake Thingvellir.